The mine is already in a significant ramp up phase that is resulting in an almost unique feature of reducing costs as volumes grow to a target steady state of 4.5-5.0 million tonnes per year. The coal itself is ranked among the top bituminous products from Indonesia, and attracts the best buyers and premium prices, which means the mine is anticipating achieving some of the best margins in the seaborne thermal coal market worldwide. 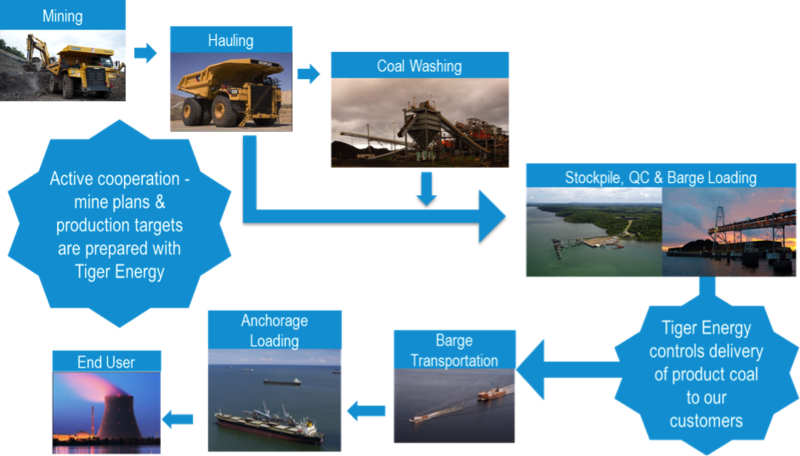 The underlying features that make Sebuku mine such a jewel for Sakari also include its very low strip ratio, averaging about 5:1, short haul and barging distances to reach the at-sea load out point. These give Sebuku one of the lowest cash costs of mining in the industry. Sebuku is a small island that has a local population of about 5,000 people of which over 750 are employed at work in our operations. The island lies on the most eastern position of south Kalimantan, affording easy access to open, deep water seas and to the major shipping routes in and out of Asia. The island’s highest point is only 125 metres with our own mining area on the island being defined mainly by marshy swamps and hills ranging from 5 to 25 metres. Sakari’s concessions’ area totals over 18,000 hectares on the west portion of Sebuku, extending into a shallow sea water basin that has a mean depth of about 5 metres between Sebuku and the larger neighboring island called Laut Island. 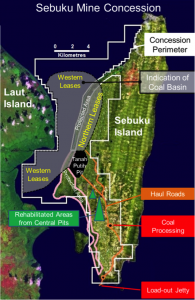 Sakari has been mining high quality coal at Sebuku using open pit methods, since 1997. The mine has a safety record that excels by beating the industry averages of USA and Australia.